Raúl Colón (born New York, New York, 1952) illustrates books for children. He illustrated Celebration! by Jane Resh Thomas and A Weave of Words by Robert D. San Souci. William Floyd (born Brookhaven, Long Island, 1734; died Westernville, New York, August 4, 1821) signed the Declaration of Independence. Born to a wealthy farming family, he had little formal education. He was elected to the Continental Congress in 1774. During the Revolutionary War he continued to serve in Congress. He was also major general of a New York militia. The British discovered his strong political views and confiscated his estate. His wife and children were able to escape before the British arrived. The British turned his home into a barracks and ruined his property. After the war, he rebuilt his home. 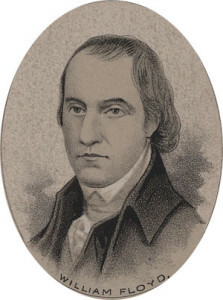 He was elected to the first House of Representatives and served from 1789 to 1791. Pope Francis (born Jorge Mario Bergoglio in Buenos Aires, Argentina, 1938) is the 266th (and current) pope. Deborah Sampson (born Plympton, Massachusetts, 1760; died Sharon, Massachusetts, April 29, 1827) actually fought during the Revolutionary War. Since women were not accepted into the army during the Revolutionary War, she disguised herself as a man. For over a year, she was a capable fighter. She was wounded and chose to dress the wound herself because she was afraid she would be discovered. She became very ill and had to seek medical attention. Her secret was discovered, and she was discharged from the army. She received a military pension for a number of years. Idea: Children might want to read Ann McGovern’s The Secret Soldier: The Story of Deborah Sampson. Now women are part of the military. Children could interview a woman in the military. How is military service for women different from service in the past? 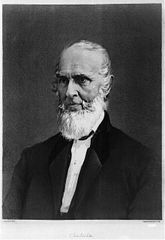 John Greenleaf Whittier (born Haverhill, Massachusetts, 1807; died Hampton Fall, New Hampshire, September 7, 1892) was a poet. A Quaker, he was active in the anti-slavery movement. One of his most famous poems is “Ichabod,” published in 1850. The poem criticizes the Compromise of 1850 and Daniel Webster. Children can view his works at: Project Gutenberg.